Avanquest Manga Studio EX 5 is great if you want all the features included in Manga Studios 5, plus exclusive additional extras for professionals. 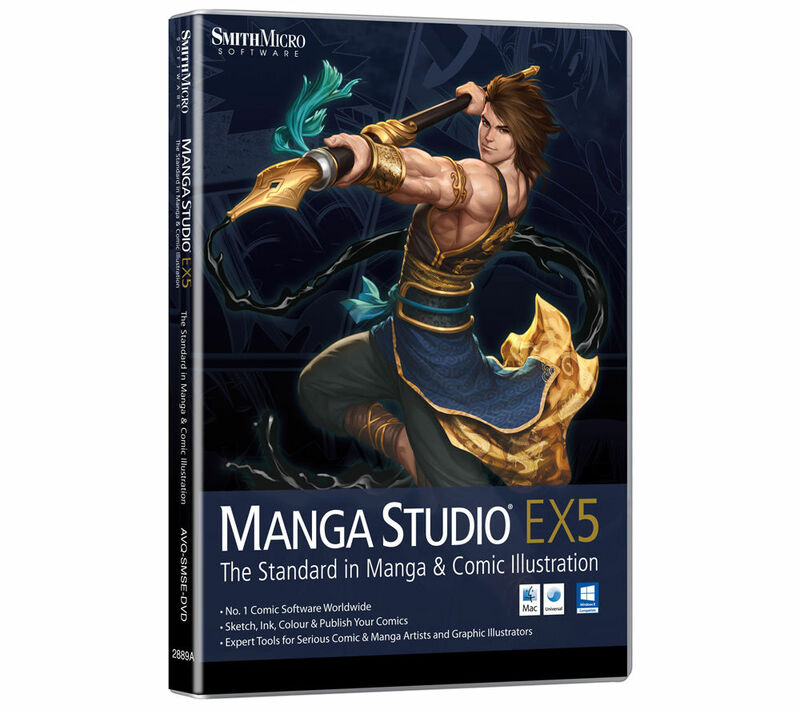 With Avanquest EX 5 you can step up your illustration skills with the main features of Manga Studio 5 plus professional story creation and special content features for serious Comic, Manga and graphic artists. The latest Manga Studio EX 5 can be used with preset pens that mimic authentic Japanese Manga pens. This means you can get the perfect look and feel when inking and colouring. You can also utilize a tablet to sketch, scan or import your artwork directly. Draw naturally with a pen tablet and gain complete control using a rich suite of familiar tools from pens to brushes. Ink your drawings with precision using hundreds of layers per page! With Avanquest's new 64-Bit Architecture & Multi-Core CPU Support, you can now benefit from advanced speed and memory. With increased power and performance, you will notice Manga Studio EX 5 can now handle HD and multiple layer art projects effortlessly. You can also save time and increase your productivity with customisable Manga Studio tools palettes. Organise common multi-step operations into one-click commands for instant results and easy access to important tools that customise the way you work. Now you can get Multiple-Page Story Layouts and streamline your creative process whilst easily accessing story files in one convenient area. Another brilliant feature is the backwards file compatibility with Manga Studio 4 EX and 4 Debut. This means you won't lose any of your old work as you can import all of your Manga Studio 4 EX and 4 Debut files including .CPG page files and .CST story (project) files. With Manga Studio EX 5 you can print your finished artwork from your desktop or send to professional printers in digital formats. EX 5 enables you to export your Manga Studio pages as layered PSD files and all common image formats. This makes the transfer to your blog, social media or print nice and easy! So choose Avanquest Manga Studio EX 5 if you want a superior range of features that allow you to take your Manga skills to the next level.